5A Shunt Capacity Shunt Regulator Power Control Equipment consists of fourteen technical modules for switch modulation. 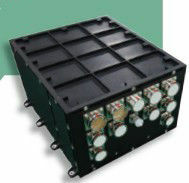 Each module has the maximum shunt capacity of 5A. It is used together with charge & discharge regulator.